"Shades' is a Top40 Pop, RnB vocal band comprising of 3 males and 2 Female vocalists, live guitars and percussion with sequenced Backing. Shades focuses on bringing the last chart pop & RnB music into an energetic and interactive performance. With 5 lead vocalists we can achieve a level of versatility and harmonies that most bands just cannot. Together with state of the art Sound and lighting "Shades" is the ultimate choice for live dance venues , wedding and corporate events. 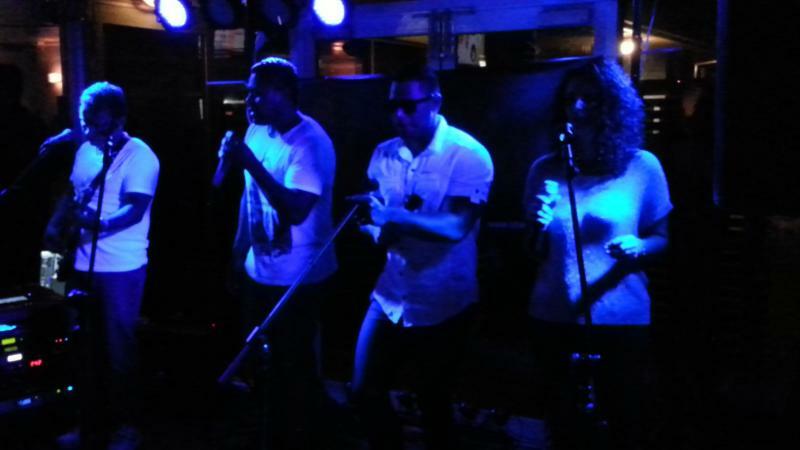 Shades can also perform as 2, 3 and 4 piece lineup and up to 7 piece with live drums and Bass where budget permits.